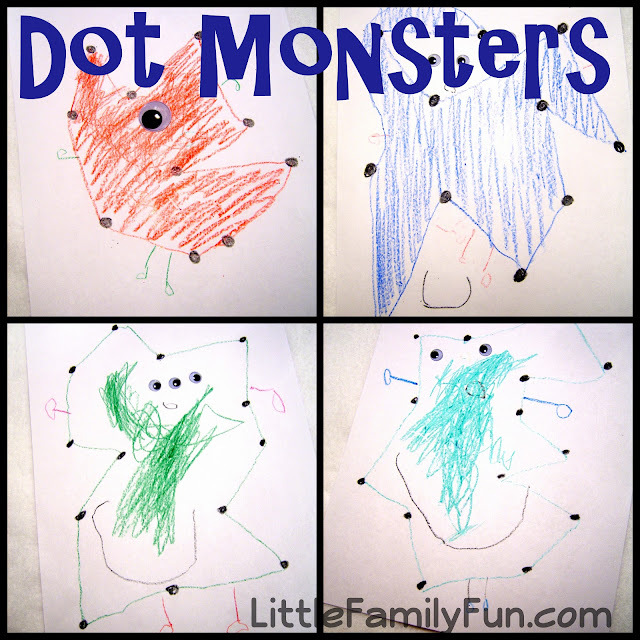 LM loves doing dot-to-dots. So for one of our Halloween activities, I drew a bunch of dots on a piece of paper and had him connect them however he chose. Then we colored them, drew on arms and legs, and glued on googly eyes to create some fun and spooky monsters! Great learning activity! Thank you for sharing on The Sunday Showcase! 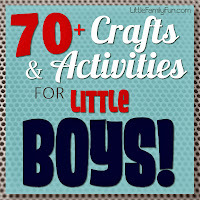 A fantastic activity for little hands..looks great!